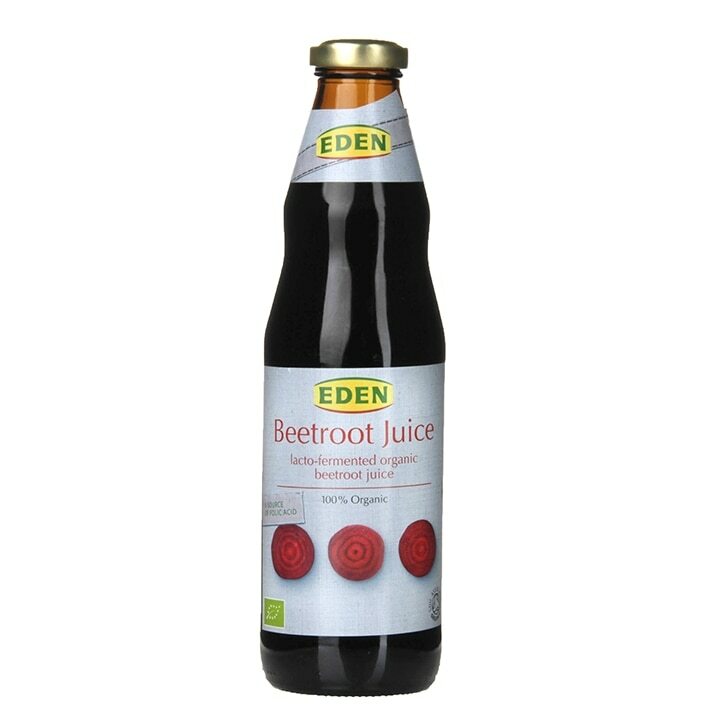 Eden Organic Beetroot Juice is rated 4.9 out of 5 by 27. Rated 5 out of 5 by A1Shopper from Great product I really like it. I have a cup every morning before breakfast. I like it warmed in the microwave. Rated 5 out of 5 by Luluwaternmph from 100% beetroot with a lovely taste I bought this a couple of weeks ago. After having tasted this drink, it has gone into my 'favourite' H&B online category. I have bought two more bottles since, and intend to continue. Rated 5 out of 5 by Bluerose7 from Eden Organic Beetroot Juice A really great drink that makes a refreshing change. Will be buying it again. Rated 2 out of 5 by johnnie72 from Great taste. Have been purchasing this product,as your records will tell for several years.recent delivery two of the bottles had already popped and I had to dispose of them.I am seriously considering should I purchase this product again.